Sentenced to sixty-five years in a Texas prison, Damon West once had it all. He came from a great family, in a home full of God, love, support, and opportunities to reach any goal. A natural born leader, an athlete with good looks and charm, he appeared to be the all-American kid pursuing his dreams. Underneath this facade, however, was an addict in the early stages of disease. After suffering childhood sexual abuse by a babysitter at the age of nine, Damon began putting chemicals into his body to alter the way he felt. Once he was introduced to methamphetamines, however, he became instantly hooked—and the lives of so many innocent people would forever be changed by the choices he made in order to feed his insatiable meth habit. After a fateful discussion during his incarceration with a seasoned convict, Damon had a spiritual awakening. He learned that, like a coffee bean changing with the application of heat and pressure, he was capable of changing the environment around him. Armed with a program of recovery, a renewed faith, and a miraculous second chance at life, Damon emerged from over seven years of prison a changed man. His story of redemption continues to inspire audiences today. "His story is very compelling because of the sacrifices he had to make to get his life back to where it needed to be. The message about helping other people and the power of controlling yourself, what you do and what you say, is so important. I've never heard it said as well as Damon." "Easily one of the top most powerful messages I've ever heard. Unbelievable. A great story and very inspirational." "Everyone should hear Damon's story. There's not another one like it in the world of sports or anywhere else in the world. Period!" – Bob Beaudine, bestselling author of "The Power of Who" and "2 Chairs"
"Outstanding. His story is a remarkable story, and I think everyone should hear it." "Damon West is one of the best, if not the best speaker we've ever had. His message hits home to all different types of people. His story is one that needs to be heard, one that is really remarkable. His personal battles, his personal growth, his personal fall and rise can be utilized by any organization." "Wow! Very impactful. Very powerful. Very poignant. We will be displaying his messages throughout our building." "WOW! He does an incredible job of telling of his story and showing how the small things, socially, can lead to much larger issues." 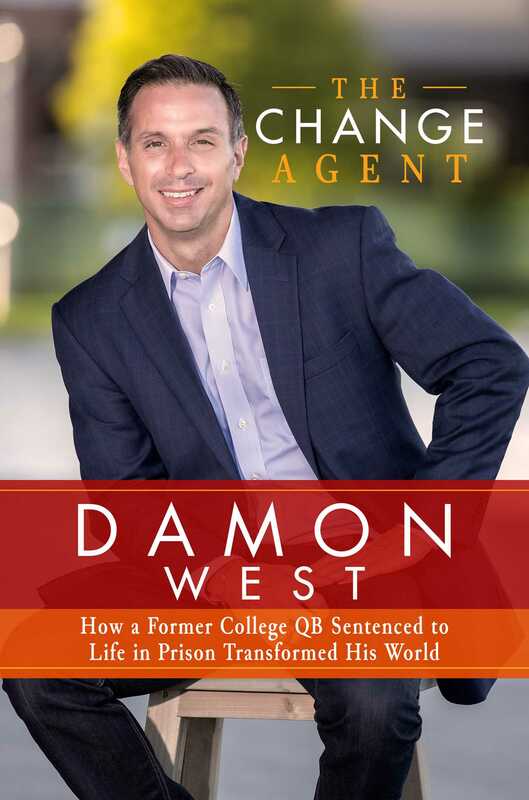 "The Damon West story is one of perseverance, faith, and recovery against great challenges. He has become a role model of servant leadership through his tireless efforts to inspire all walks of life with a stirring account of personal growth." "Your message stirred our community beyond what you could imagine. I met with the principal from the largest public high school in our area, sharing with him the emotional and spiritual experience from which you were the impetus. I did not ask him if he wanted to share the message of your life with his students, I told him he NEEDED to share it... and that some student in his school was waiting and needing to hear the message from YOU." "Damon West is one of the most inspirational people you'll ever meet. His message is applicable to any individual, organization, team or group." – Jon Gordon, Best-selling author of "The Energy Bus" and "The Carpenter"
"Damon's had quite a journey since his days on the Dallas Cowboys sidelines. I'm really proud of Damon and how he's overcome his struggles." "The more I read Damon's story, the angrier I became at this fool's trashing of opportunities I could have only dreamt of - athletic abilities, personality and intelligence. The further I read, the more impressed I became with God's power to transform him. Damon let grace strengthen him to face himself more courageously and honestly than most non-criminals do. He let God lead him out of prison and then back again as a lay evangelist. God opened doors to locker rooms so he can motivate young athletes with hope to overcome life's struggles. I love this man, his story and his book, and I hope everyone learns from him to confront all obstacles and opportunities."